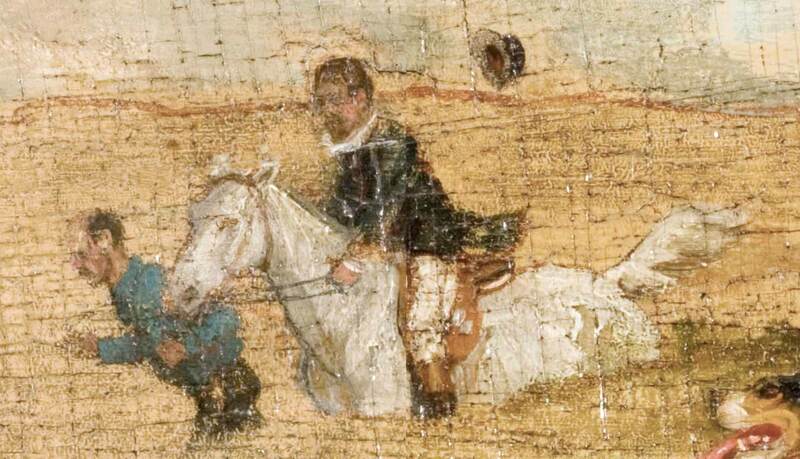 Walter Griffin is shown galloping along in The Fox Chase on the back of Reuben, the white horse he bought for $4 to use as a model. He was lured to Old Lyme from his home in Hartford during the early years of the colony by his good friends Allen B. Talcott and Childe Hassam. 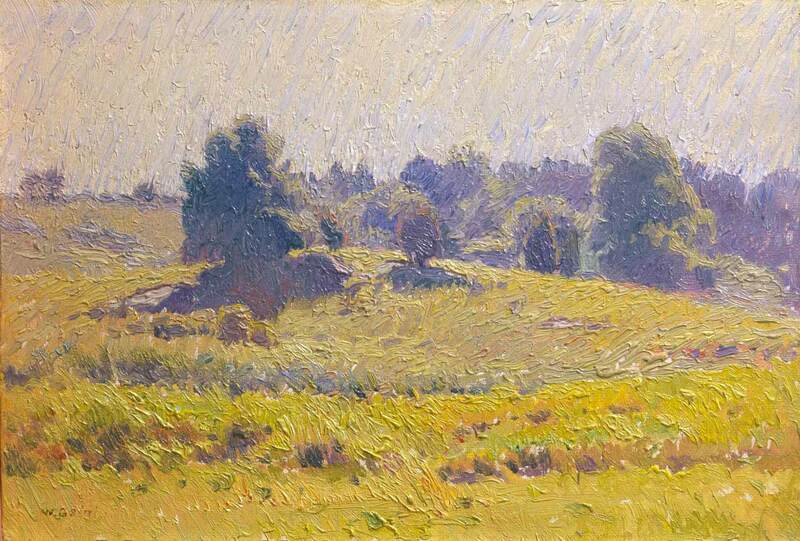 Griffin came to Old Lyme as an Impressionist painter who mastered putting more than one color down with his brush at a time. He was one of the three artists who collaborated on a panel in the dining room. He is represented in the Knockers’ Club crest with an image of a gryphon, the mythological animal that combines the body of a lion with the head and wings of an eagle. 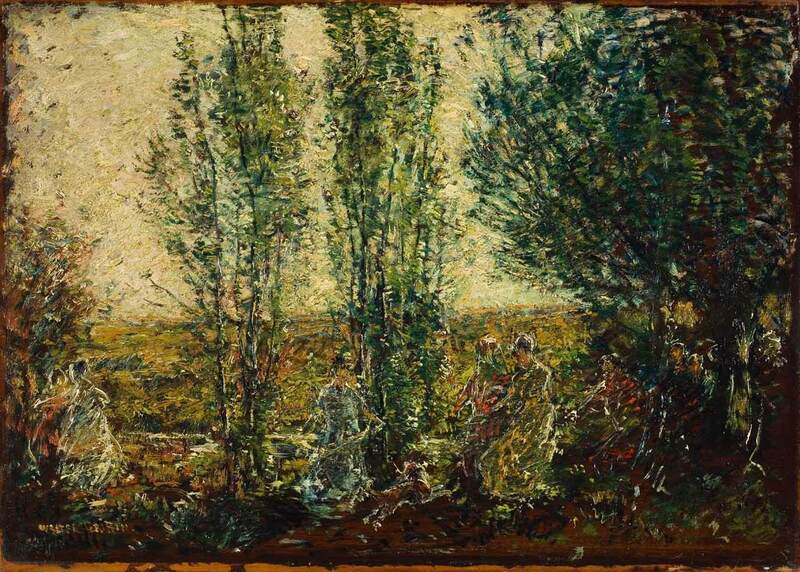 His painting style was perfectly aligned with the colony’s newfound interest in Impressionism. Griffin embraced the new style and had mastered his own “secret” approach to laying paint colors down on canvas. 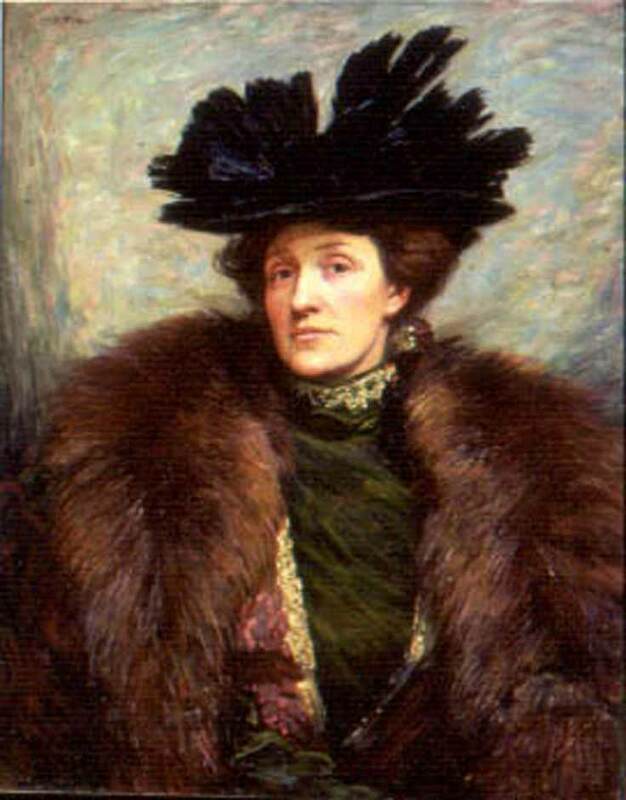 According to one of Griffin’s close friends, the painter would not mix his colors on the palette, but rather pick up two colors on the same brush and mix them on the canvas — a difficult painting technique to master, but the effects were stunning. 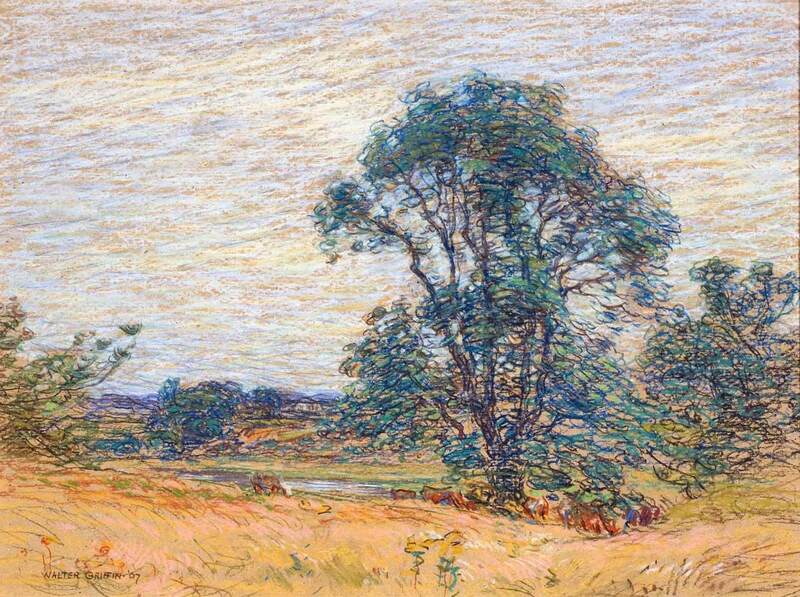 Griffin was an accomplished draftsman and produced impressionistic landcapes in pastels as well. The son of a craftsman who carved figureheads for the great sailing ships in Maine, Griffin was surrounded by art and woodworking from an early age. 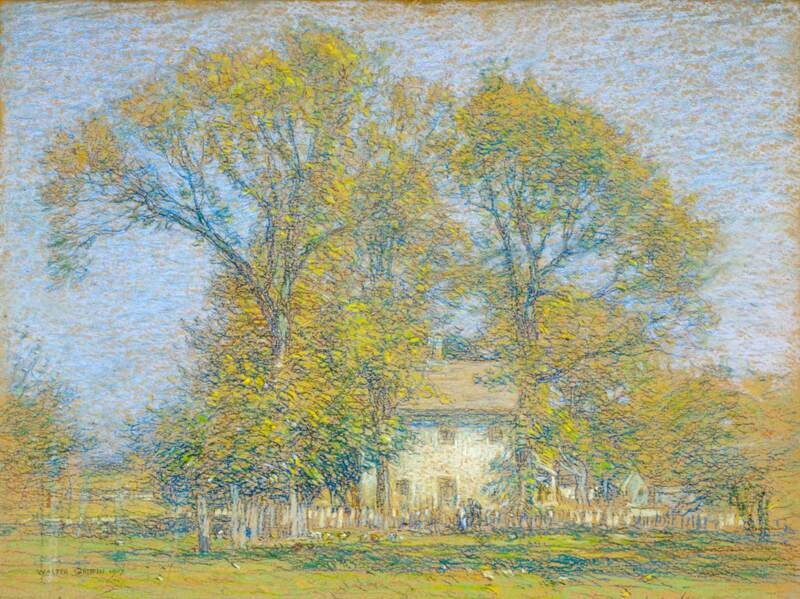 His interest and talents were nurtured through art classes in Boston and New York where he befriended several of the artists who would later make Old Lyme famous, such as Childe Hassam and Willard Metcalf. Like the others, he traveled to Paris and studied at the École Des Beaux-Arts and exhibited at the Salon of 1889. 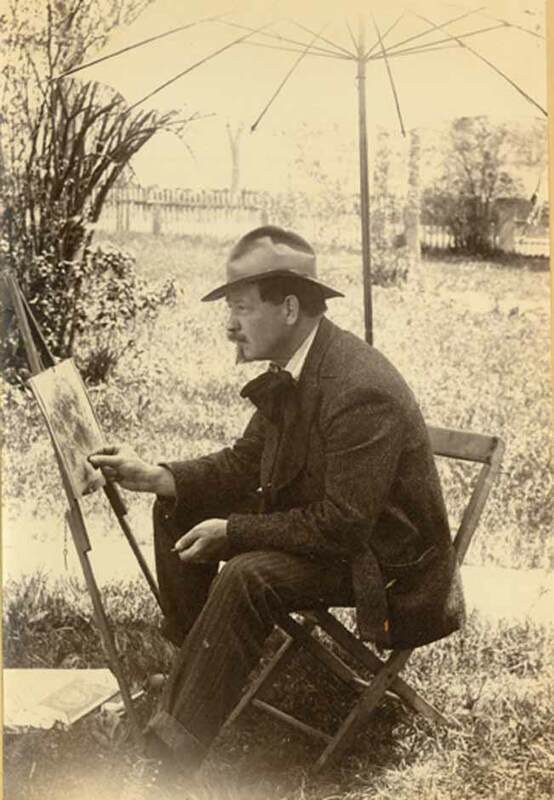 He traveled into the French countryside and painted in the area known as Barbizon, the very place that inspired Henry Ward Ranger to seek out Old Lyme for his American Barbizon. Despite Griffin’s relatively late start with the colony, he settled in quite nicely. He becomes a member of the “Knockers’ Club,” the group of artists who would criticize or “knock” the work of the other painters (especially those who were not present). 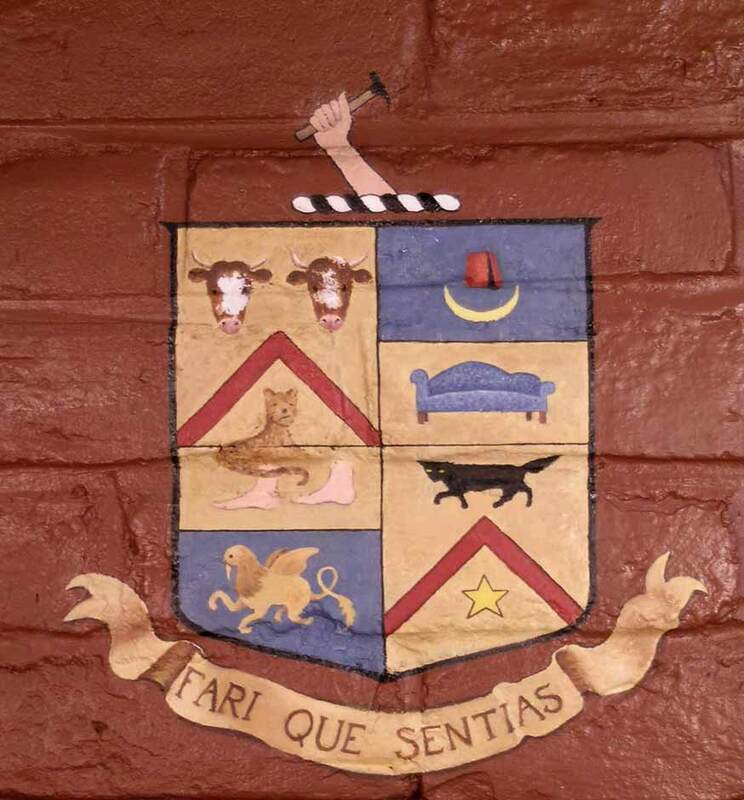 This club was made public by the creation of a fictional coat of arms that was painted on the brick over the fireplace opening in the dining room. Griffin is represented by the image of a gryphon, the mythical beast that combines the body of a lion with the wings and head of an eagle. Griffin took impressionism—that playful, eye-tickling movement begun by the French artists—and turned it to meet his own end. Although his art is based on, and closely attuned to the French impressionist mode, his vocabulary is distinctively American. The method is one difficult to employ, a heavy pigmentation, the pigment applied in rugous heaps, so thick as to supply an obvious third dimension, but separated by areas of bare canvas. With his masculine technique the artist manages to gain both resonance and purity of color, and a tone that throbs with vitality. Directly across the dining room, Griffin is represented by an unusual painted panel. 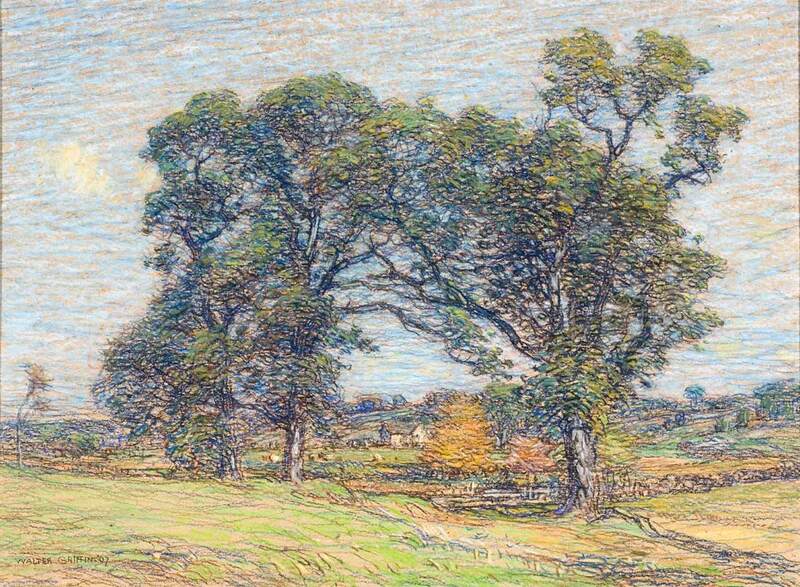 Unlike the other panels, Griffin works collaboratively with Henry Rankin Poore and Childe Hassam. 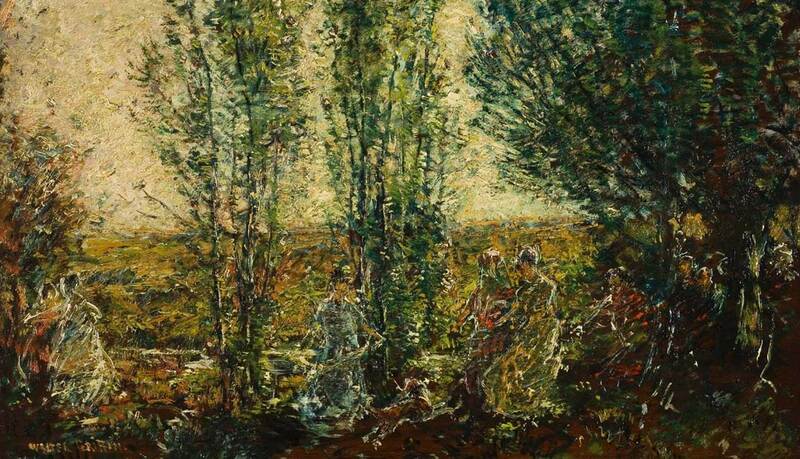 This is the only panel to be created by more than one artist and diplomatically combines the talents of two staunch impressionists and one tonalist. 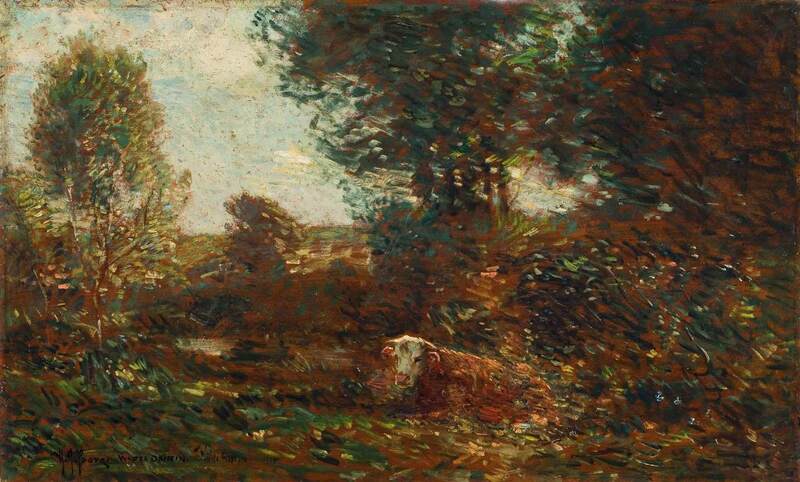 The panel features a brown cow reclining in a field on the edge of a forest and shallow pond, but the specific authorship of any of the elements is undetermined. Griffin also completes a solo panel that is installed next to the collaboration piece.